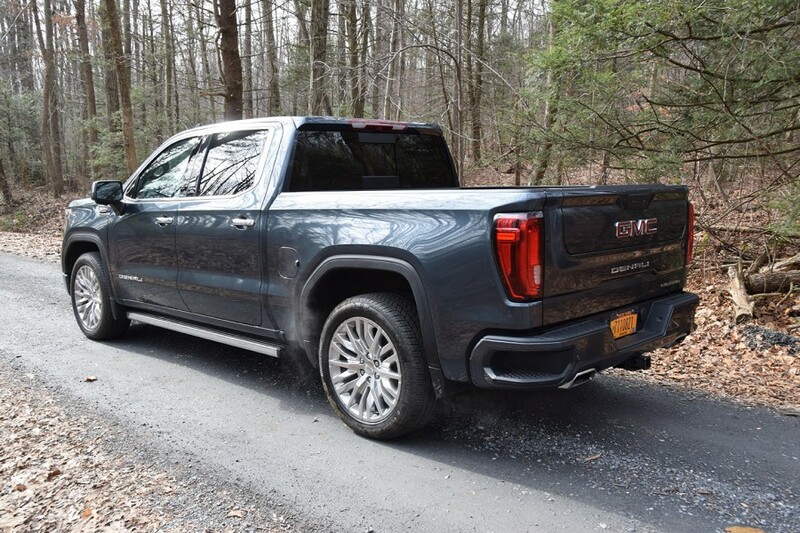 GMC’s 2019 Sierra half-ton pickup has gone one-up on the competition, including its sister truck, the Chevy Silverado. 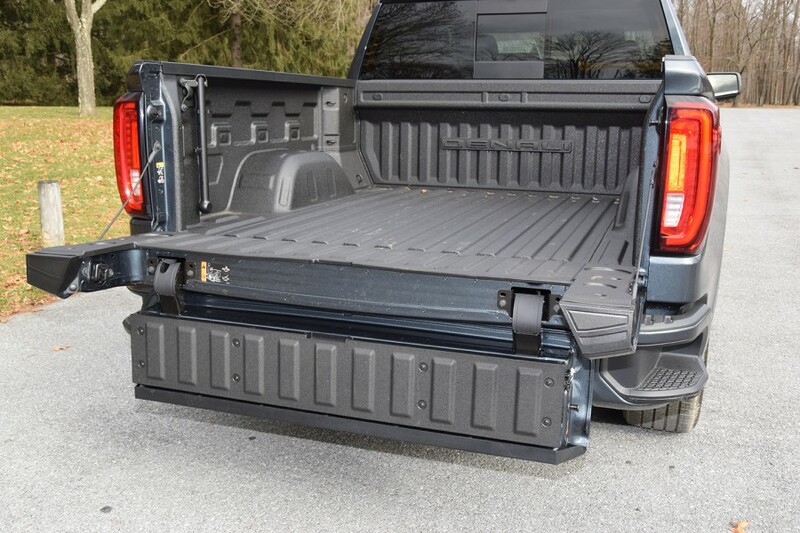 The new from the ground up Sierra now offers an optional carbon fiber bed and a one-of-a-kind, MultiPro Tailgate. 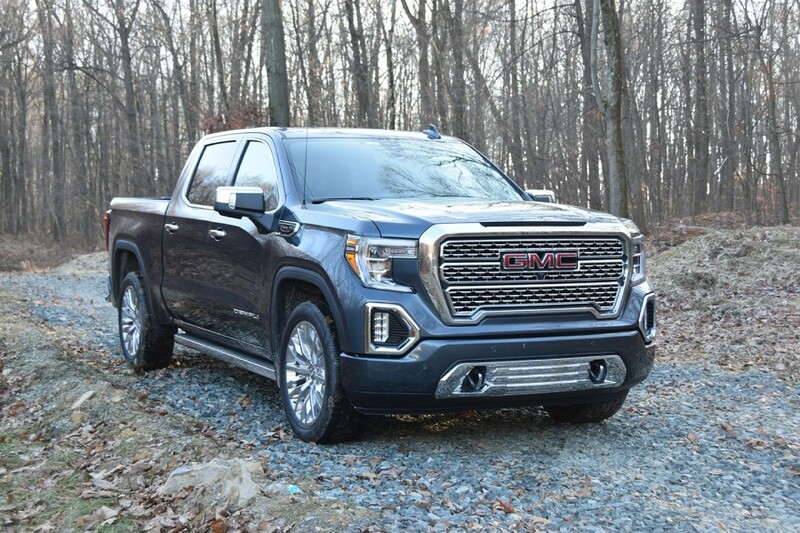 Offered in regular, double and crew cab and in base Sierra, SLE, Elevation, SLT, off-road superior AT4 and top-line Denali, we were privileged to test the latter, that, unfortunately, did not have the new bed. Sierra’s bed with carbon fiber inner panels is said to be dent, scratch and corrosion resistant. 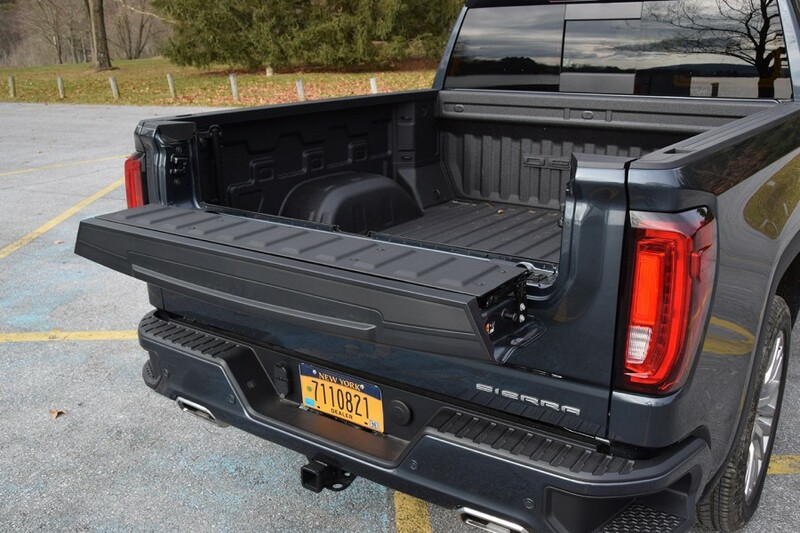 With it and the use of aluminum doors, hood and tailgate, it enabled Sierra to become 360 pounds lighter than previous models, despite being longer and roomier inside. 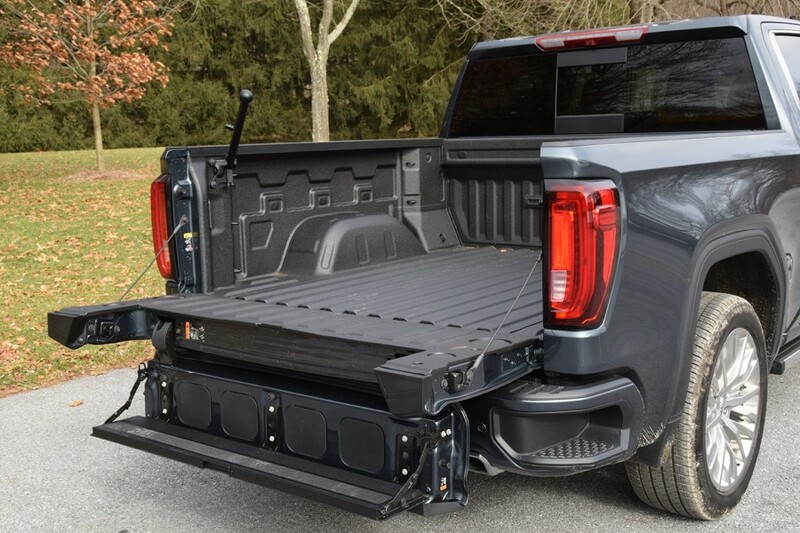 GMC’s MultiPro Tailgate is expressly unique in that it can be used in six variations including second tier loading, load-stop functions, a standing workstation and when using the tailgate for entry, has a pop-out assist handle, a feature Ford’s F-150’s have except theirs is built into the tailgate itself. The new Sierra offers two segment firsts. The one is a Rear Camera Mirror that differs from a traditional rearview mirror in that it can function as is, or as a camera screen that GMC says helps eliminate obstructions such as rear seat passengers and head restraints, while providing a wider field of rear view. 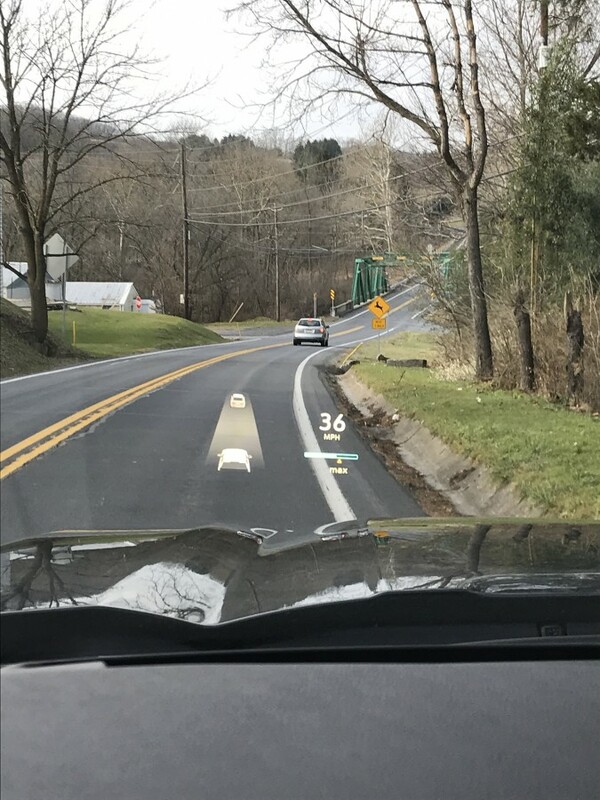 The other is a Multi-Color Head-Up Display that projects customizable vehicle data on the windshield in a 3×7-inch display that can be turned off. 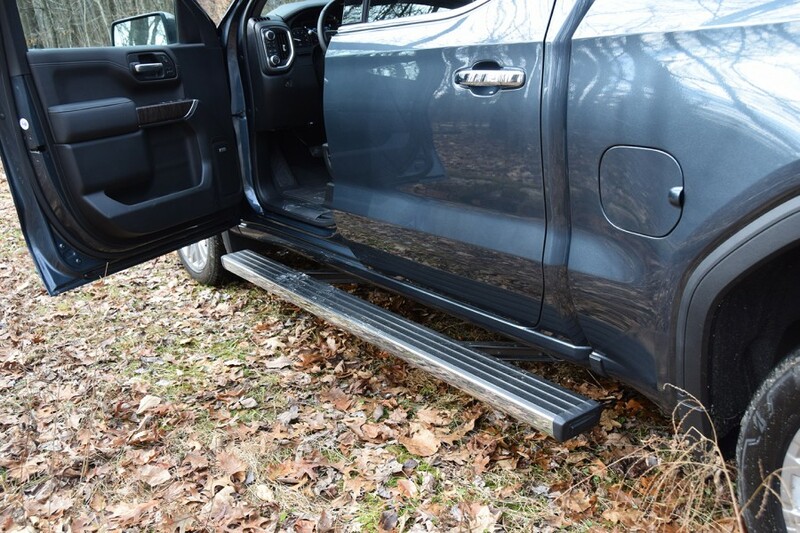 With Sierra Denali comes running boards that power out and in upon opening/closing a door. That makes ingress/egress a mere 14-inch step rather than 25 inches onto the cabin floor. 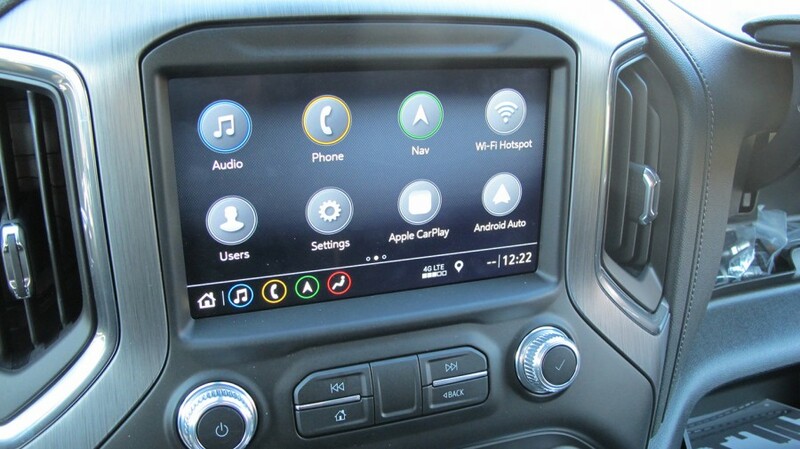 The Denali trim was as posh as any luxury sedan sporting an 8-inch touchscreen with navigation, rearview camera, apps, audio, Apple CarPlay/Android Auto and Wi-Fi 4G hotspot capability. 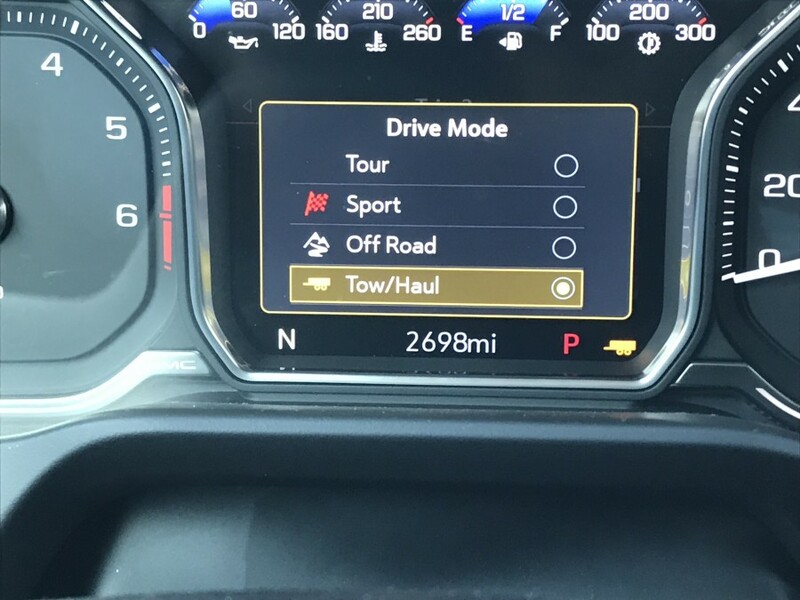 There’s also a driver information display nestled between the gauges for a host of operating conditions including an open door or tailgate. All HVAC controls are large and easy to use and beneath them resides a wireless smartphone charger. 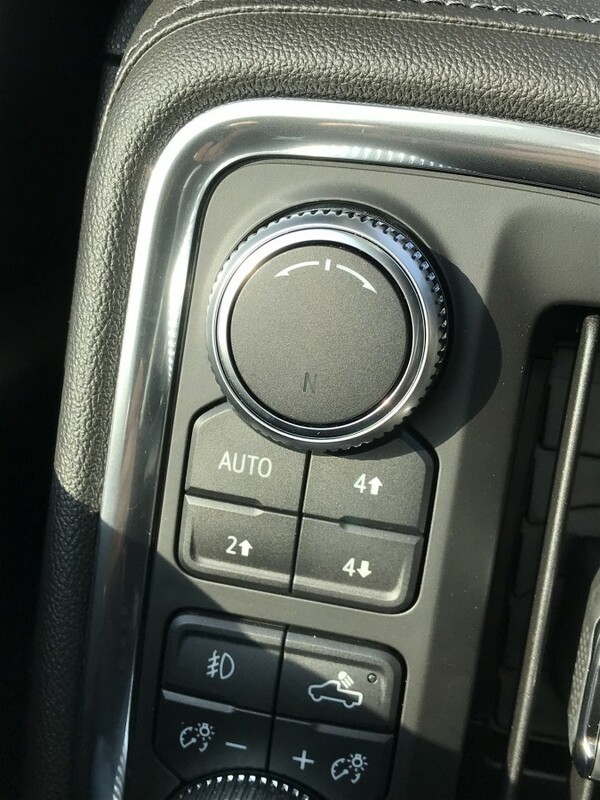 On the left side of the dash, four push buttons comprise Sierra’s Traction Select, 2-speed automatic transfer case 4WD system with Auto, 2WD, 4H and 4L gearing. And this includes a standard locking rear differential. 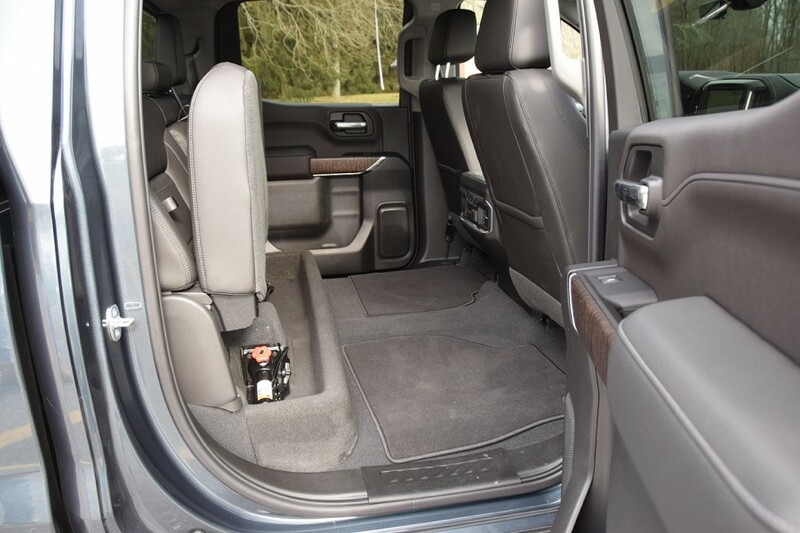 Heated/cooled front seats are exceptionally supportive and comfy over long hauls and rugged roads. Back seats are similarly comfortable, with gobs of leg and headroom. 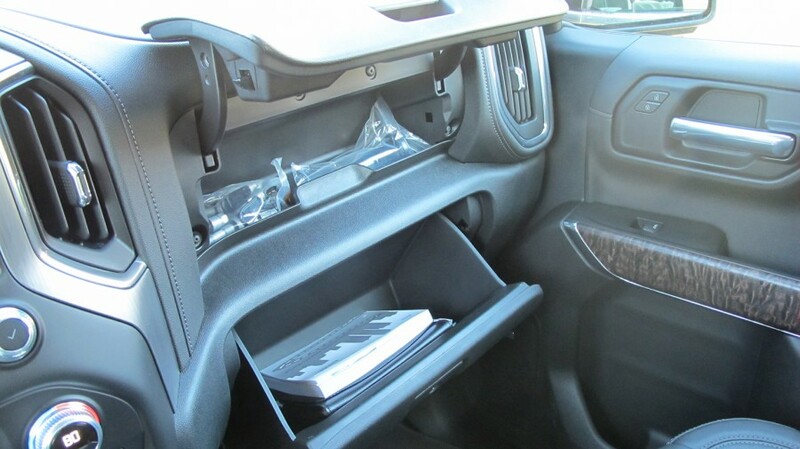 They split and fold up against the bulkhead exposing an under seat bin for small item storage. 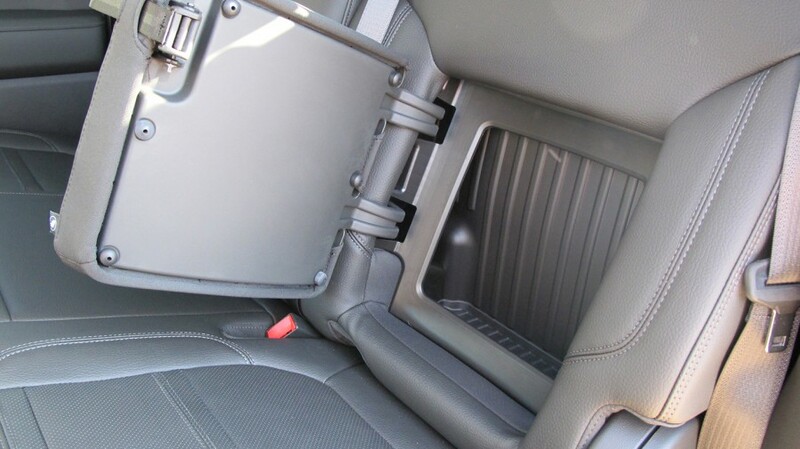 There’s also two smaller hidden bins behind the rear outboard seatbacks to stow small items, a novel use of dead space and a first for any pickup. Power wise, the big V8 has tremendous power both from a standing stop to highway passing situations. 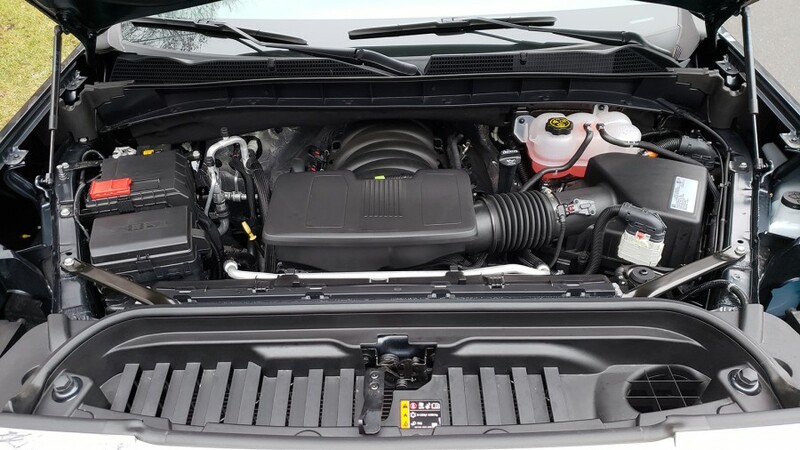 It’s the recommended engine if trailering is a requirement. 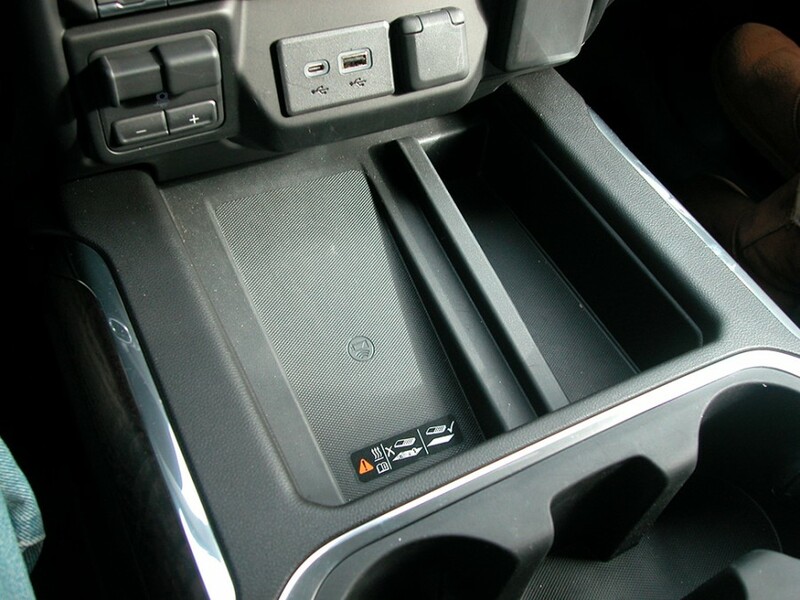 With the 5’8” cargo short box, Denali 4WD is rated for up to 9,300 pounds. The 6’6” box gets a rating of 9,100 pounds. Available with this is an all-new ProGrade Trailering System with a smartphone Trailering app. The app allows remotely testing trailer lights, electrical diagnostics and checking the trailer’s tire pressure, all from a smartphone. 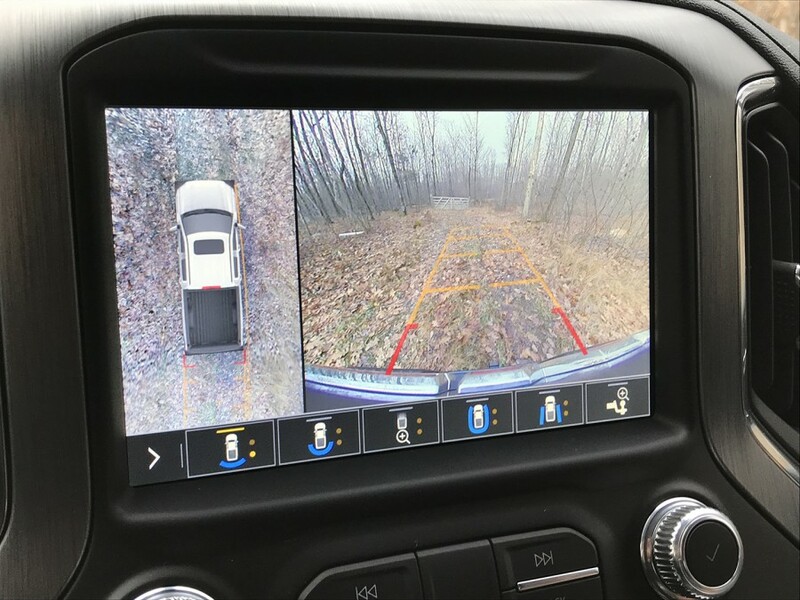 There’s also a hitch guidance system with rearview camera view and an optional trailer-mounted camera for a view outside the cabin. Sierra Denali was shod with 22-inch Bridgestone tires that provided a smooth and quiet ride, even on semi-rough off-roads. With an undercarriage clearance of 8 inches, Denali can traverse many back woods roads and relatively deep snow. The locking rear also lends a hand here, if it should get bogged down. Handling is typical truck however the steering effort was surprisingly good. Turn the wheel an inch and the nose points 10 degrees either way. The only unnerving feature Denali posed was a loud clunk when closing the doors and starting the engine. The noise results from the automatic locking of the tailgate. At first, you think something is breaking or falling off from the undercarriage. Now all this luxury, functions and technology doesn’t come cheap. 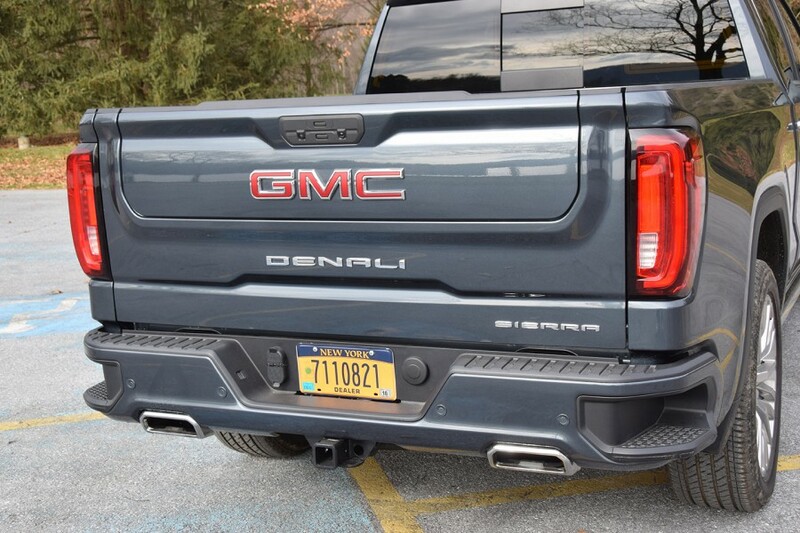 Denali started life at $58,000 loaded with every convenience and feature most discriminating truck buyers want. 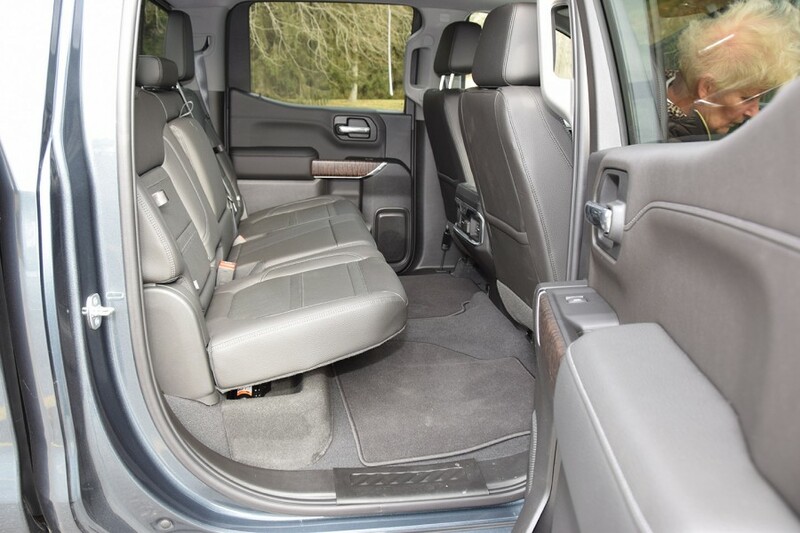 But the options are pricey for the Crew Cab tested. 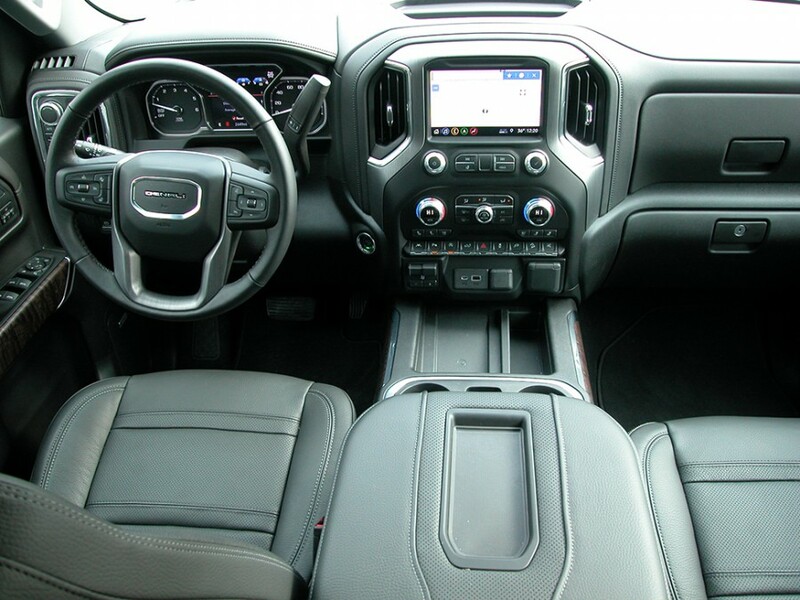 For example, the Denali Ultimate Package with surround vision, rear camera mirror, heads-up display, forward collision alert, lane departure warning, lane keeping assist, forward automatic braking, front pedestrian braking, sunroof and more adds $5,850. Tack on the 6.2L V8 ($2,495), dark sky metallic paint ($395) and delivery ($1,495), and it will set you back $67,735 with a $500 discount. And this doesn’t include the carbon fiber bed. Now this is a lot of money for a truck, but a lot of truck for the money. Recent truck sales show that serious truck buyers are spending this and even more for these high-end, well endowed models. Keep in mind that Sierra doubles as a handsome family hauler that can traverse rough terrain, haul and tow unlike any comparably priced luxury sedan or crossover. Nestled between the speedometer and tach, is a driver's information display giving a variety of operating conditions. 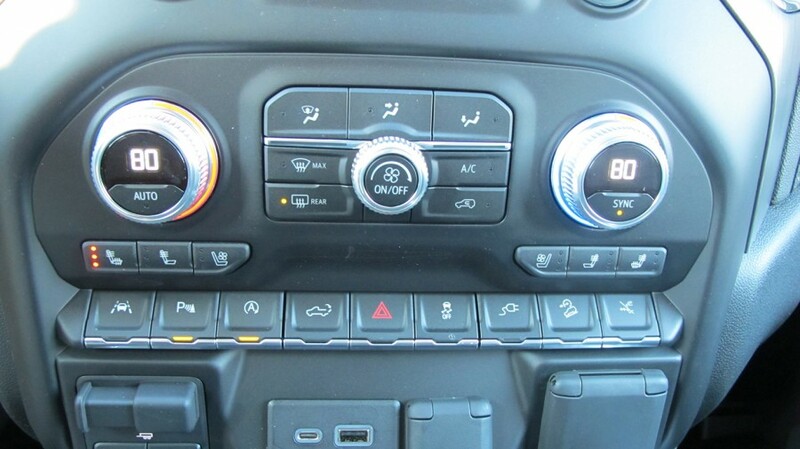 In this view its Drive modes.